Open data for agriculture and nutrition has long been identified by CTA and partners as what can help governments, civil society organisations, private sector, and smallholder farmers best tackle the challenge to feed 9 billion people by 2050. But what is open data? Why is it important to make data open? What does it mean to different stakeholders? How can it be used to to create impact in agriculture and nutrition? What does it take to do that? And how do we generate data? To answer all these questions, CTA’s Chris Addison, Senior Programme Coordinator for Knowledge Management chaired a session on ‘Opportunities for business innovations’ during the workshop ‘Creating Impact with Open Data in Agriculture and Nutrition’ held on 10 -11 November, 2015 in The Hague, The Netherlands. For the government, Open Data is good for accountability and transparency as well as making information available to the population. Representing the Ghanaian government was Eric Kumah of the National Information Technology Agency (NITA), who see a real growth opportunity with Open Data although he recognises that there are challenges. For the private sector, Open Data is instrumental for decision-making and advocacy. However, the private sector will not wish to risk their business . Stacie Irwin of VOTO mobile, Accra, Ghana was there to provide her views on the private sector. From the workshop, participants concluded that the impacts of Open Data on agriculture and nutrition could be identified when there is more innovation for governments, cost efficiency for the private sector and promotion of a sustainable living environment for civil society citizens. The good news for the various stakeholders is that CTA is leading a data revolution, which aims to make more information available to farmers. To CTA, Open Data is critical for empowering agricultural and rural communities in ACP regions with the knowledge and skills they need to achieve food and nutrition security. Have a look at the Global Open Data for Agriculture and Nutrition (GODAN) site for more information on Open Data for agriculture and nutrition and consider joining the GODAN initiative to make more data open and available to put into use. Contact us if you want to join our initiatives. Sign up to CTA Flash newsletter to receive our updates. 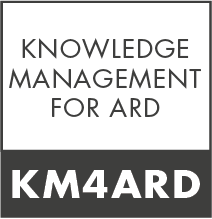 Visit the KM4ARD blog to access information about CTA’s KM projects. Visit CTA’s KM learning resources and tools.